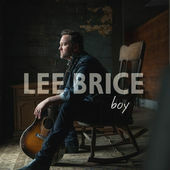 Farce the Music: Single Review: Lee Brice "Boy"
Single Review: Lee Brice "Boy"
Two of the finest songs of the last decade are I Don’t Dance and I Drive Your Truck. The former has been played on Spotify alone 67m times, the latter a mere 24m times. The voice of Lee Brice, sort of like Tim McGraw’s (in fact a lot like the voice of Tim McGraw), carries both of those songs. Much like "My Old Man," the new Zac Brown song which does this without programmed drums and synths, this song is another to be found in the sub-genre of Dad/Son-country. It could also be a message to young writers seduced by the headlights of modern country; head to the trunk, where’s there is gold to be found in mining the human condition. We have a while to wait for the album, self-titled (like Tim McGraw’s first album) and out in November. Tim is on tour this year, still plugging Damn Country Music, which contains "Humble & Kind," a song written by a mum to her kids but sung by Tim, a dad of three. Musically there are two magical moments in Boy: Lee’s little chuckle in the second verse after the word ‘stubborn,’ and the slide guitar sound before the sombre final chorus which ends on the line ‘run like he’s bulletproof and total a car, too.’ Country must realise that, above other genres, it puts family first, rather than the act of making babies. "Boy" is thus one of those ‘advice’ songs country music offers (some star or other has just put one out called "Speak to a Girl"). It’s a song from a dad to his son, who will ‘always be my boy’ even if he is genetically programmed to repeat the mistakes of his dad. The middle eight is tender, as the dad feels sorry that his son is off – on his gap year? To NYU? To fight for his country? Lee is a father-of-two, soon to be a father-of-three, and he must have seized on this song when it was sent to him for consideration. "Boy" was written by Nicolle Galyon (Automatic, It Ain’t Pretty) and Jon Nite (Strip It Down, We Were Us, Think a Little Less). It’s a winner, and an example of what contemporary songwriters in Nashville can do when they step off the tailgate. After five years of drinking beer, cruising and eating a catfish dinner, country music is hopefully waking up to what Chris Young would call a Sober Saturday Night. If it lasts a few years, so much the better for top quality songs about real things coming out of Music Row and given the confidence to make headway into the charts and people’s playlists.